The global swimwear market is set to be worth $28.1 billion by 2024. Image courtesy of Flagpole NYC. Many previously targeted brands are expanding into newmarket areas. Image courtesy of Love Brand. While swimwear has always been a big part of any superyacht owner’s wardrobe, a recent boom in the luxury swim market suggests the rest of the world is catching up. Zoe Dickens investigates. If you spend the best part of the year following the sunshine from the Caribbean in winter to the Med in summer, as many superyachts and their owners do, then having a wardrobe full of colourful bikinis and printed swim shorts may not seem out of the ordinary. For the rest of the world, however, buying just one or two new pieces before a big vacation was the norm. Until now. According to data from Allied Market Research, in 2017 the global swimwear market was valued at $18.4 billion. This is expected to rise to $28.1 billion by 2024 – a huge boom for a product once considered seasonal and non-essential. And, while the majority of this will come from mass market brands, the luxury industry is taking a significant slice. 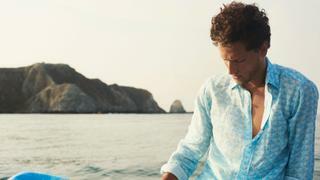 High end e-tailer Mr Porter, for example, has tripled the number of swimwear brands it stocks since 2011 with buying director Fiona Firth citing both the emergence of new specialist brands and established fashion houses adding swimwear to their collections as a key driver of this expansion. The ability to travel is becoming a marker of one's social status and social media documentation is important. Most people do not want to showcase their trip with boring or repeated swimsuits. Boost agrees but also adds that, for L’Etale, women’s swim has always been on the agenda, “In swimwear the cut has to be perfect as (for most people) it’s the most exposed you’re ever going to be in public. For women it’s just that bit more complicated and we want to make sure that the cut and style are perfect.” In accordance, many of these previously targeted brands have expanded into new areas on the back of their initial success. Flagpole launched a capsule collection of men’s swim shorts last year while L’Etale offers a bespoke service and children’s swim shorts and Love Brand plans to expand to a whole range of resort products. But as they become more homogenised how do these companies plan to stand out from the crowd? Sustainability, a fashion industry buzzword that looks set only to grow in importance, will be key. “A good product is not enough anymore. It's about story and emotional buy into brands, not just function,” says Tomalin, whose Love Brand has aligned itself with elephant conservation schemes since launch. Its best-selling Staniel swim short uses a fabric made from 53% recycled plastic bottles while Boost says that L’Etale is also exploring recycled fabrics and aiming to reduce its environmental impact. In any market though, keeping up with consumer tastes will always be priority number one. “When we started we were told by buyers that women didn’t want one-piece suits or high-waisted bikinis,” says LeMotte of the styles that have made Flagpole such a hit, especially with women who felt ignored by more traditional swimwear brands, Similarly, L’Etale has seen success with its quirky prints, often featuring disparate objects such as croissants or aliens. Meanwhile Firth predicts that, alongside heavy hitters such as Tom Ford, Orlebar Brown (pictured top) and Vilbrequin, new labels like Atalaye, which creates smart styles inspired by the chic French town of Biarritz, will be popular for Mr Porter this season. The only question now is what will you be wearing poolside this summer?